In Church History 101, William Ramsay surveys the growth and development of the Christian church from the New Testament era to the present day. Placing special attention on the experiences of Presbyterians in America, he highlights key events and profiles prominent individuals who had an impact on the church's life. 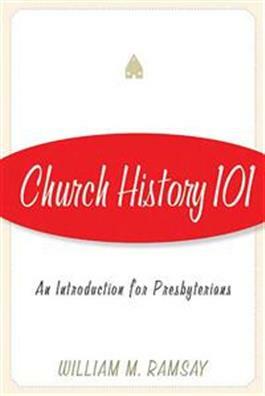 This brief review of the history that led Presbyterians to America serves as a valuable introduction for new member classes, adult study groups, and all those eager to learn more about church history. Presbyterian Outlook (November 7, 2005)"For our furiously over-scheduled churches today,finding time to squeeze in church history as part of our Christian education programs is a challenge. With William Ramsay's offering, you nowhave no excuse."